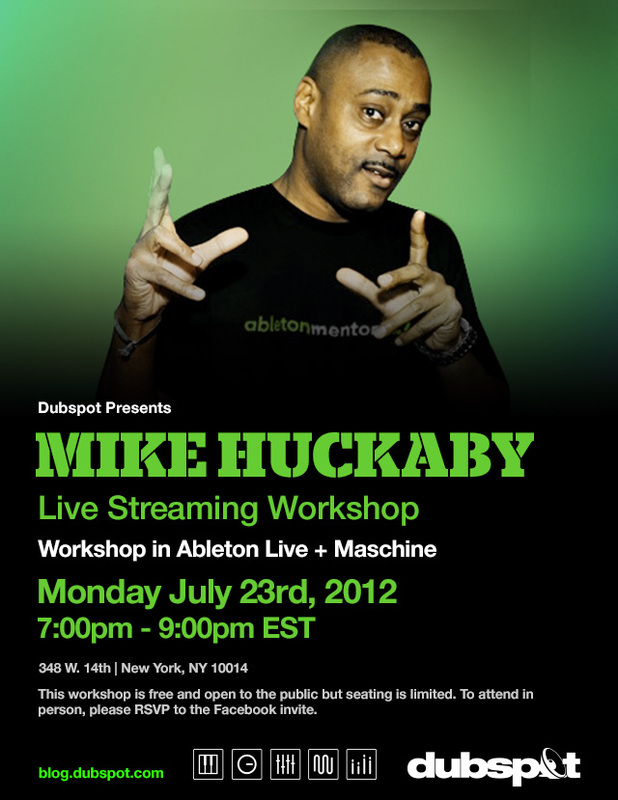 On Monday June 23 at 7PM EST, Dubspot will be hosting a live workshop on Ableton Live and Maschine with Mike Huckaby, Detroit’s prolific creator of techno and house music. Over the course of this workshop, Mike Huckaby will demonstrate how to use patterns and scenes in Maschine to generate complex productions with ease. “This workflow has had a profound effect on my productivity, creative process, output and amount of production, and remixes I have done for other artists,” he explains. As a part of his studio setup, Huckaby also uses Ableton Live for finished productions and he will also cover some clever techniques with VST Program Changes in Live that can take your sessions in some new creative directions. This workshop is free and open to the public. If you’d like to join us, please RSVP on the Facebook event page. 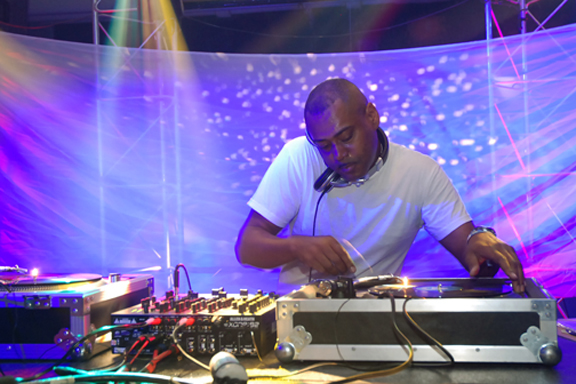 Detroit’s Mike Huckaby is a living legend and has long been an influential player in the city’s techno and house scene. With over two decades of work as a creator, remixer and DJ, he’s become one of the most sought-after producers in the world. Mike’s love for music is shadowed only by his love for sharing knowledge about music. He’s mentored brilliant new stars such as Kyle Hall, and continues to tour the world as an expert in Ableton and Native Instruments software, teaching Live and Maschine to up and coming producers everywhere. We’re proud to have Mike be part of our Dubspot Workshop Series, and we hope you can catch this event in person or streaming here on our blog. « Deep Space in Brooklyn! 4th of July w/ François K + King Britt + FaltyDL @ Dekalb Market!